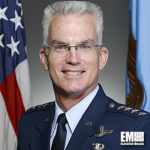 U.S. Air Force Gen. Paul Selva, vice chairman of the Joint Chiefs of Staff, said during an Air Force Association breakfast event held Friday the military needs to recapitalize and modernize the U.S. nuclear enterprise, DoD News reported Friday. He told event audience that nuclear triad recapitalization efforts should include replacing current intercontinental ballistic missiles and constructing the Columbia-class nuclear submarine and a new bomber aircraft. Selva added the Nuclear Posture Review document released in February covered key elements and capabilities of nuclear deterrence. Additionally, he noted that U.S. needs to sustain the country’s deterrence capability it achieved during the Cold War. The military has used Minuteman III IBCMs since the missile technology’s launch in 1968.